The great work from Electra team for iPad and iPhone jailbreaks going up to iOS 11.4 beta 3 has now been geared towards tvOS of Apple TV. Successful porting means that Apple TV 4K and Apple TV 4 on tvOS 11.2 up until tvOS 11.3.1 can be jailbroken with ElectraTV. We should mention straight away that ElectraTV jailbreak become possible due to Justin Williams’ commitment and the efforts of @NitoTV who has been an Apple TV guru since the device was released. In fact, @NitoTV recently revealed his backr00m jailbreak, and also said at that time that ElectraTV jailbreak would follow once the pieces to the puzzle were put together. Now that the work has been done, ElectraTV can now jailbreak Apple TV 4K and Apple TV 4 on tvOS 11.2 running up to tvOS 11.3.1. For those with the compatible hardware but have preferred to go above tvOS 11.3.1, you’re out of luck. 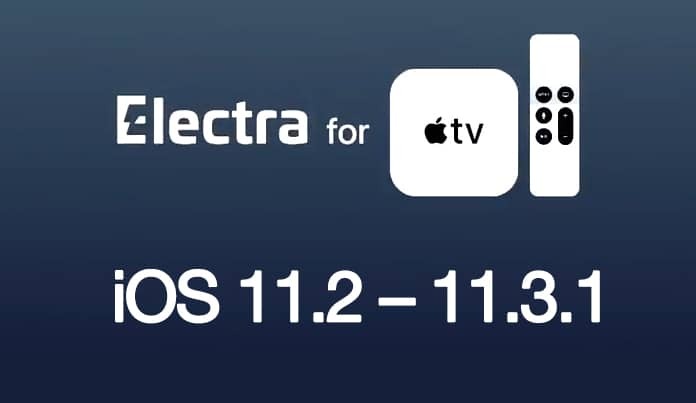 Only the iOS Electra jailbreak supports iOS 11.4 beta 3, while the ElectraTV is only compatible with tvOS 11.3.1 at maximum. This could be surprising for the lot who wouldn’t have anticipated an Apple TV jailbreak immediately after the jailbreak of iPad and iPhone. However, knowing that tvOS is a modified version of its iOS counterpart, it makes good sense that any exploits and vulnerabilities discovered during iOS exploits would be applicable in tvOS exploits as well. Step 1: First, you need to connect your Apple TV to your PC or Mac with USB cable. Step 2: Download the ElectraTV jailbreak IPA file from our downloads section. Step 3: Download Cydia Impactor and open it on your Mac or Windows PC. 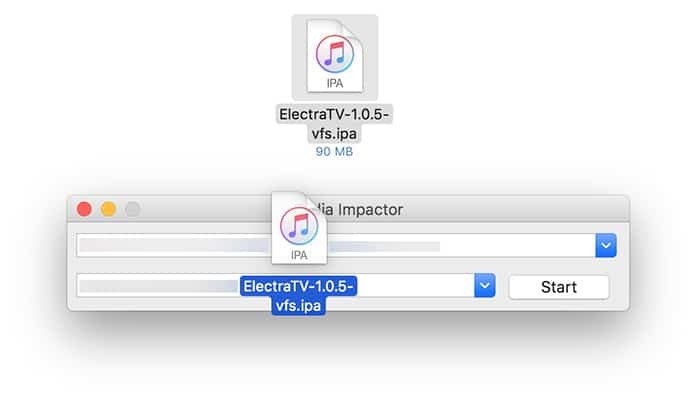 Step 4: Select the connected Apple TV from the list and drag & drop the ElectraTV ipa file into the Cydia Impactor’s pane. Step 5: Type your Apple ID email and password to start the side-loading process. Step 6: From the menu of your Apple TV open the ElectraTV app and click on the Jailbreak button. At this time of writing, Apple TV jailbreak isn’t of much use to people. If you already have an iPad or iPhone that is running Cydia, you have a world of possibilities in your palm in the shape of package installations and tweaks that are designed to enhance or modify iOS experience. You can’t say the same for tvOS. No Cydia is present for Apple TV. In addition, you won’t find a catalog or library of installation packages that enhance the tvOS or the hardware experience although many consider nitoTV as the Cydia of tvOS with a couple of tweaks inside. 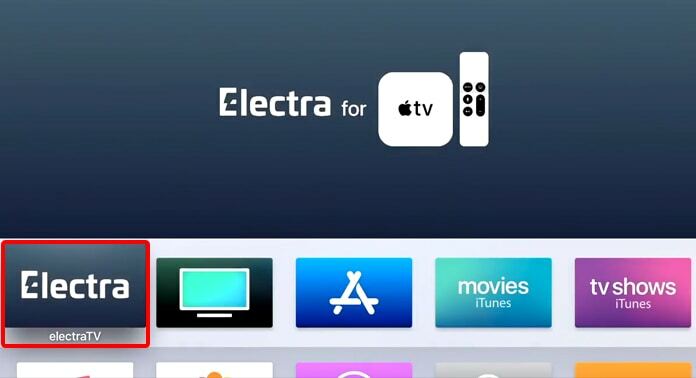 That said, ElectraTV is now available and can be checked out over coolstar.org/electra by individuals with a passion for jailbreaking and Apple TV.